Google Wave is out! A New Era! 3 Years ago I predicted that Google will create a Google OS (Android is out for mobile devices and netbooks, Google Chrome OS is coming in late 2010). 2 Years ago, I predicted that Facebook will be huge. A year and a half ago, I predicted that Twitter will be huge. A year ago I predicted that FriendFeed will be very big! (Facebook bought it recently for a large 7 figure number). 2 Months ago I was thrilled to hear about (and get a developer account to review it) Google Wave. Today I heard that Google is opening wave to non-developers users (power users that is) to give it a play ground review. 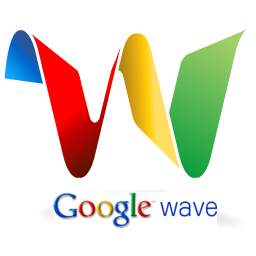 Today, I also predict that Google Wave will be the new big thing for the next 2 years at least. In short: Google Wave is an open source server-side software platform for real-time collaboration and communication between any number of individuals. Utilizing the latest HTML 5 standard, Wave runs in any current compliant browser. (Watch the very long video above) (or watch the very short video preview below). Many of you asked what happened to the Twitter addict I once was. The answer is: Wave, new Wahol, and project ‘W’ took all my time for the last 2 months! Dude I had it for 2 months already! does anyone pay any attention to my tweets?! At all!! I could have gave you an invite when I had it. too late now (still waiting for my next 50 invites). Oh, you are on Twitter? Never noticed….LMAO! you do get anymore invites, I would love to get in too.